It’s that time again! It’s become a tradition, at the end of every calendar year, for the staff to post a list of favorite reads from among the books that we’ve read in the past 365 days. Without further ado, here are our picks for this year. 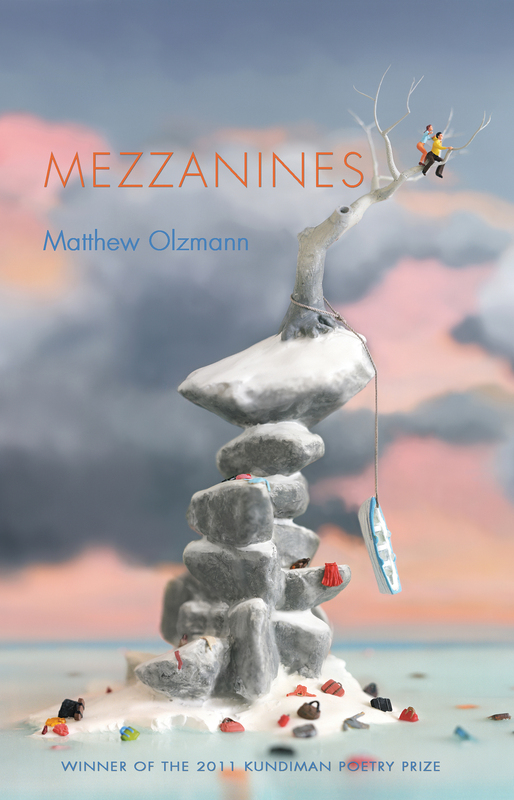 Iris’s comments: I’ve been a fan of Matthew Olzmann’s work since I first met him and heard him read during an AWP panel in 2009, and Mezzanines did not disappoint. Quirky, humorous, and at times profane, but always grounded by dint of its razor-sharp observations about human nature and an underlying sense of deep empathy, the voice of his poems fills up the space of the imagination with a childlike wonder that is at once riotously absurd and insanely beautiful. Few poets could successfully mix tender intimacy with wry, self-conscious humor (such as the “product placement” in the poem “Mountain Dew Commercial Disguised as a Love Poem,” which apparently prompted PepsiCo to send the poet a letter of thanks in real life! 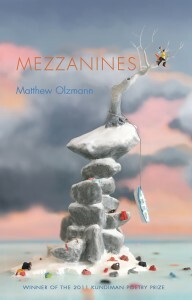 ), and yet Olzmann does so effortlessly and always with great aplomb. 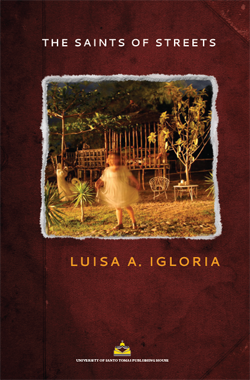 Iris’s comments: Luisa A. Igloria’s new collection, The Saints of Streets left me breathless. As is par for the course in her work, Igloria writes with beauty, strength, and piercing intimacy, precisely interleaving light and shade like a master of shadow puppets. 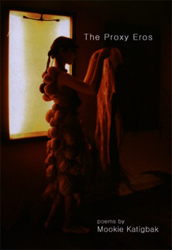 I am told that the poet has several other collections’ worth of poems brewing (thanks to her poem-a-day project over at Via Negativa), and I cannot wait for the next installment. 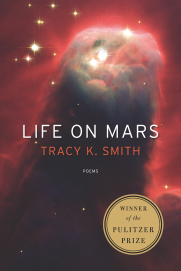 Iris’s comments: Last, but not least, on my list is an older title, Tracy K. Smith’s Life on Mars—winner of the 2012 Pulitzer. I’d heard Smith read at the 2011 Page Turner Festival and had been captivated by the empathy inherent in the persona poems that she’d shared. It was no surprise to me, then, that I fell headlong for Life on Mars, a haunting collection that explores science and the domestic/private life of the scientist and the poet. Life on Mars won the Pulitzer for a reason: it is simultaneously tender and steely, masterfully integrating the infinite scale of the particulate cosmos with the particular stuff of the everyday. Smith’s poems about her father, a retired NASA scientist, are especially moving. I began the book while home sick from work one day, read it all in one sitting, and when I finished, I closed its pages and wept. 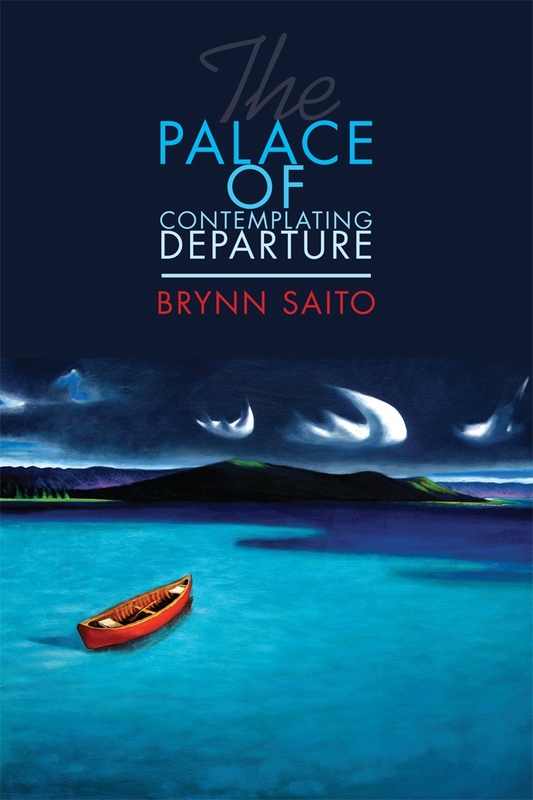 Wendy’s comments: Brynn Saito’s The Palace of Contemplating Departure is a sublime meditation on arrivals and departures, childhood, sisterhood, lost love, and freedom. 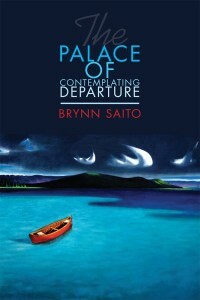 From cityscape to dreamscape, these poems are deeply felt and fully realized. Jai’s comments: I was blown away by Kanae’s experimental text written in (and about) Hawaiian Creole English and pidgin, “Sista Tongue.” This collection of her short stories is deeply moving, flat-out hilarious, and strengthened by the sharp vulnerability in each character’s voice. Jai’s comments: This book is sonic genius . . . Diggs is sonic genius. A multilingual text written in Cherokee, Japanese, Spanish, Quechua, Yoruba and more, it is a (re)sounding “werk” of kinesthetic/kine-sonic delight. Jai’s comments: In 1781 on the slave ship Zong, over 150 slaves were thrown overboard in order for the ship’s owners to collect insurance money. Philip grasps at these submerged voices, a drowned language. Reading this book is disorienting and chaotic—letters are jettisoned from words, phrases are cast and broken. In this horror, in this violence done unto language/bodies, the dead arise from the sea. What were your favorite reads in 2013? Tell us in the comments, or share a link with us on Facebook or Twitter! Have a safe and wonderful new year, and we’ll see you in 2014. “Hokusai believed in the slow / perfectibility of forms” (3), begins Luisa A. Igloria’s newest book of poems, The Saints of Streets. 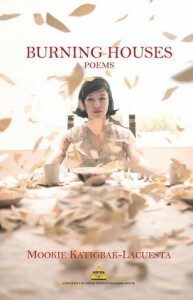 She has been writing a poem a day since 2010, a project archived online and from which this collection was born. Given how prolific she is, I could not help but find in these opening lines a reassurance that the poems collected here are not merely practice but are a practice. For perfectibility, the poem goes on to say, is “the way, // after seventy-five years or more, the eye / might finally begin to understand / the quality of a singular filament—” Indeed, this is a book of single filaments, and in these poems are so much delight and wisdom, often beginning in the mundane but nearly always spiraling inward to the sacred. disappearing halfway up the rise, beyond the street. Line by line we move from a definite point in time (“on the night”), to an ongoing and simultaneous action (“ran out . . . crying”), and finally to an image marked by its remove from the rest of the action (“disappearing . . . beyond”). The medial caesura of each line helps us rhythmically, step by step, as do the definite articles. The final “disappearing” is a present participle, non-finite: not quite past and not quite present. And that last image of what is “beyond the street,” in its ghostly way, takes us through the longing into something even greater than the object of the longing, greater than the body of the street. 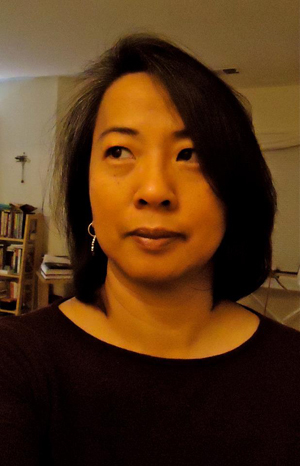 This May, in celebration of APIA Heritage Month, we have asked several respected teachers and writers of Asian American poetry to share writing exercises with us in lieu of our regular Friday Prompts. This week’s installment was contributed by Luisa A. Igloria. Writing poetry is always a little archaeological—we dig and sift not only through our fund of experiences and memories, but also through a variety of textual fragments. As a writer in the diaspora, I am always reminded that the past, history, is a hallucinatory presence right here with us; that our life in the contemporary moment is marked by the displacements that time is eternally enacting. 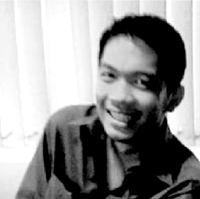 In the news, we encounter stories about all sorts of anniversaries and commemorations: recently, so many articles on Bin Laden’s capture and killing last year; but also, I read the reminder that my high school friend and classmate, James Balao (whose 51st birthday was April 19), has been missing for nearly four years now since his political abduction by state forces on September 17, 2008. And then, I learn that a former student and friend, and one of my daughter’s grade school teachers who has made a life in Japan these last ten years, walked out of her home and marriage a month ago, with three very small children in tow—and has not been seen or heard of since. How is it possible? I am disturbed. I am disturbed by these unexplained rifts in time, by the unforgivable absences of explanations. And because facts alone, even when they are available, cannot assuage the terrible depths of these displacements, I turn to poetry for some kind of response, if not relief. Because we are all involved in the drift of time, displacement is a function of contemporary experience—it is not something reserved only for us in the diaspora or for those of us who live with the legacies of colonization. History is a field at once very large and very intimate. But I like to think of the past as not completely done, of history’s archives as not static; we can enter the archive, we can reconstruct and re-imagine events, we can insert ourselves as figures or characters into its landscapes. As part of our exploration of ekphrastic poetry, poet Luisa Igloria (who was featured in our November 2009 interview) very graciously agreed to answer some questions about the role that ekphrasis plays in her most recent book, the Ernest Sandeen Prizewinning Juan Luna’s Revolver [UND Press 2009]. LR: In what ways did visual art inform your process in developing Juan Luna as a project? LI: Visual art provided both a means to stimulate individual poems, as well as provide points of thematic unity between the different parts of the book. I looked at photographs, old lithographic representations, postcards, and more. Juan Luna’s Revolver could not have evolved without calling to poems that make some reference to art — after all, Juan Luna was a painter, one of several Filipino artists and intellectuals who left the Philippine colony for Spain and other European destinations in the mid to late 1800s to study and to travel. 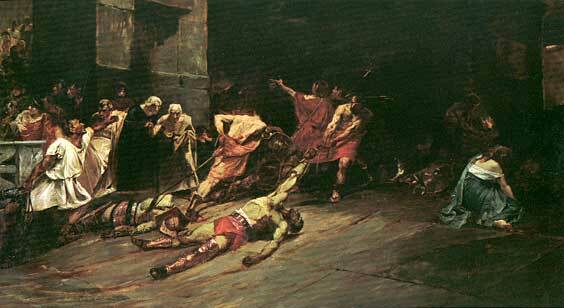 Juan Luna was perhaps most famous for his mural “Spoliarium” which depicted two defeated gladiators being dragged into a chamber where they would be stripped of their armor and prepared for burning. The painting won one of two gold medals at a Barcelona exposition and took the art world there by surprise. In truth, however, I came to the Juan Luna poems in the book more gradually — the book perhaps really began with my long-standing fascination with stories about the 1904 World’s Fair in St. Louis, Missouri, and how 1100+ indigenous Filipinos were transported to serve as live exhibits there (many of them were taken from the northern Cordillera region in the Philippines, which is where I grew up). I’d done considerable research on this and looked at archival material, and it became clearer to me as the poems came that one of the central themes in this project was colonial spectatorship. Fair-goers at St. Louis in 1904 came to see the Philippine reservation and its half-clothed savages, and protested that they had paid to see “the authentic native” when well-meaning persons out of concern for their health, wondered if they should be given warm clothing to wear. While traveling in Europe, Juan Luna and his contemporaries were similarly gawked at. But through the powerful art and literature they produced (Juan Luna’s compatriot Jose Rizal wrote the two novels that further inflamed a grassroots-led revolution which finally overthrew the Spanish colonial regime) they had found a way to return the gaze of the Other. LR: What influenced your decisions in terms of where and how to place ekphrastic poems like “Letras y Figuras,” “Dolorosa,” and “Mrs. Wilkin Teaches an Igorot the Cakewalk” within the text of Juan Luna? How do you envision their particular contributions to the arc and the rhythm of the text? LI: When I’m beginning to work on the structure of a book, I also like being led by the tonal and emotional congruencies between parts. I try to see what kinds of “music” might be made by the decision to set one poem next to another, one section next to another. I don’t necessarily think a chronological approach is always the best one. And, I much prefer trying to set up relationships across poems so that it might be possible for an image or motif to jettison the reader back or toward another moment, in another poem… For example, even if the 1904 / World’s Fair poems form the last section, I hope it eventually becomes clear to readers that I’ve been trying to talk about the implications of looking at something or someone, or being held in close scrutiny, really from the very outset (such as in a very early poem in the book like “Intimacy deserves a closer look” ). LR: In the poem “Ekphrasis,” you write of the viewing of sculpture as a process of critical reading: “the bridle that is history’s wants it to stay / its previous course — At least that’s how // it might be read” (55). In what ways can the exercise of “seeing” and subsequently interpreting a physical object of beauty prove useful to poets in our own crafting of imagery and perspective on the page? LI: Poets frequently “see” and “interpret” — that is, find ways to move from a physically sensuous validation of the world (“seeing” is part of that) to finding in language the means, the shape, the form in which to express it. “Seeing” has never equated to a “neutral” activity to me. Even when I’m people-watching, I quickly realize I’m making up stories, wondering about the hidden narratives: who’s that old couple in the parking lot? where are they going, what are they thinking, who will they meet? what did they have for breakfast? When the imagination exerts an influence on what’s given, we make art. That’s one of the things that still continually amazes and humbles me – that on the one hand historical reports might say of events in the past, “these things are over, they’re done” — but that on the other hand, poetry can say, let’s look at it again; and what if? So yes there is critical reading, but there is also a sense that meaning can be remade or that a closed door is not necessarily what we think it is. We might think we know everything there is to know about something. But poetry always reminds us of the mystery that remains. 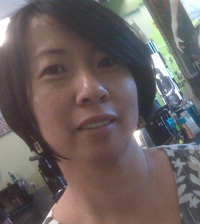 To read more about Luisa Igloria and her work, please visit her web site and blog. Juan Luna’s Revolver is available for purchase from the University of Notre Dame Press. Poet Luisa Igloria, whom we interviewed back in November, has recently brought a new call for submissions to our attention. According to an announcement on the Ning page of Old Dominion University’s MFA program, the brand new electronic journal Barely South Review is looking for: “work of engaging and exceptional quality that excites and invites varied perspectives, from emerging as well as established writers in the genres of fiction, poetry and nonfiction” to feature in its debut issue. Submissions will be accepted until February 15th, via email. Click here and scroll down to read the full instructions and guidelines. Whether you’ll be traveling or relaxing at home during the upcoming holidays, it’s a great time to polish off an old reading list or to start in on something new. As our gift to you this season, and to help you get started on your own holiday reading list, we’ve asked members of the LR Staff to recommend some of their recent favorites. Here are our suggestions. 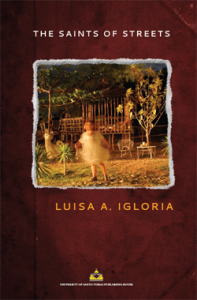 LUISA A. IGLORIA is the author of Juan Luna’s Revolver, recipient of the 2009 Ernest Sandeen Prize (University of Notre Dame, 2009 ); Trill & Mordent, recipient of the 2006 Global Filipino Award for Poetry (WordTech Editions, 2005); and 8 other books. Luisa has degrees from the University of the Philippines (B.A. ), Ateneo de Manila University (M.A. 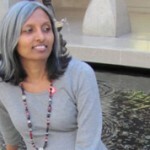 ), and the University of Illinois at Chicago (Ph.D.), where she was a Fulbright Fellow from 1992-1995. 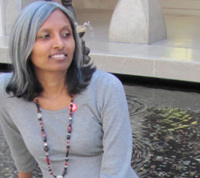 Other awards include Finalist in the 2009 Narrative Poetry Contest, the 2007 49th Parallel Prize from Bellingham Review, the 2007 James Hearst Poetry Prize (North American Review), the 2006 National Writers Union Poetry Prize, the 2006 Stephen Dunn Award for Poetry; and 11 Palanca Awards and the Palanca Hall of Fame Distinction in the Philippines. 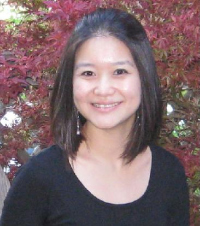 Originally from Baguio City, she lives in Norfolk, Virginia and is an associate professor on the faculty of Old Dominion University, where she directs the MFA Creative Writing Program. She keeps her radar tuned for cool lizard sightings. 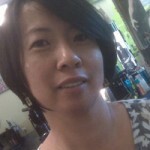 Visit her online at her web site or at her blog The Lizard Meanders. LR: When did you first decide that you wanted to become a writer, or have you always known? LI: I’ve always had a love for words, perhaps because my parents taught me to read early ( by age 3 ). I was also raised as an only child by parents who were twenty years apart in age (my dad was 20 years older than my mom)—perhaps this had some bearing on the way I was raised, perhaps not; in any case I remember that they took me with them a lot when they went out or to other friends’ homes to socialize, and would invariably bring a book or two for me so I could occupy myself safely in a corner and not be bored. They loved going to art events, concerts, the movies—we weren’t wealthy but my father would sometimes be able to get complimentary tickets because of work connections, and he would always be sure to include me. They took me to see a group from the Bolshoi ballet with Dame Margot Fonteyn dancing excerpts from “Swan Lake” when I was a second grader and let me stay up past bedtime to do so; but they were also just as excited by musicals like “Showboat” and in fact took me out of school early so we could watch the first run. I always knew that whatever it was I wanted to do, it would involve the work of the imagination. They’d wanted me to be a concert pianist (in fact, I’m named after a Filipina pianist popular back in their day), or a lawyer, like my father.